Smile and show me your teeth! Emeri was looking at our Peter Peter Pumpkin Eaters house this morning and guess what she found ! WOW! Looks like today we will learn some science whether it was planned or not. We cut open the pumpkin and talked about mold and how to grows. We washed the furniture that was in the pumpkin. After exploring the pumpkin a little, we cut it into smaller pieces and put it in a jar so we could watch it decompose. Fun STUFF! We read our weekly reader that taught us how a pumpkin grows. We talked about important words like first and last. 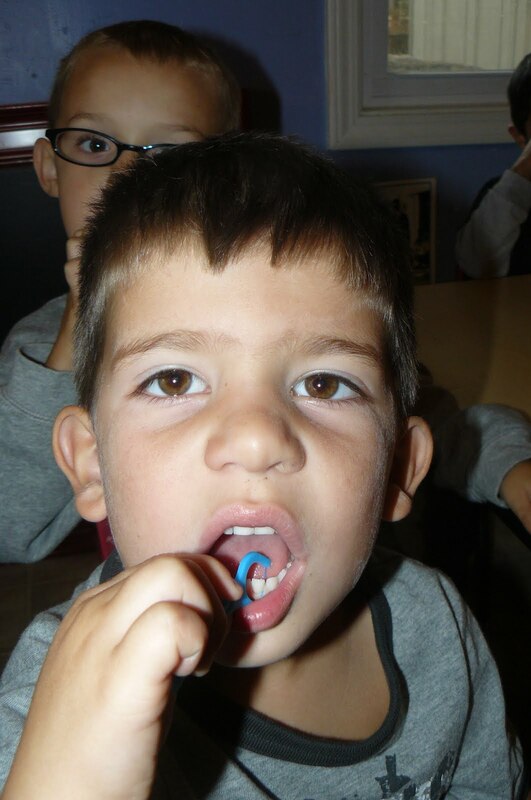 Since we are talking about ‘people and places that help us stay healthy ” today we talked about brushing our teeth. I was pleased to learn that all of the kids brush their teeth at home. The dentist said it is good to brush in the morning and before going to bed. One of the activities we did today was tasting different toothpastes. After tasting it, we graphed which one we liked more. That graph is hanging by the sign in sheet if you want to see it this afternoon. We did another science experiment that we can watch over the next day or two. We talked about how our teeth are hard on the outside and how germs and acid eat away the enamel on them and allow cavities to form. 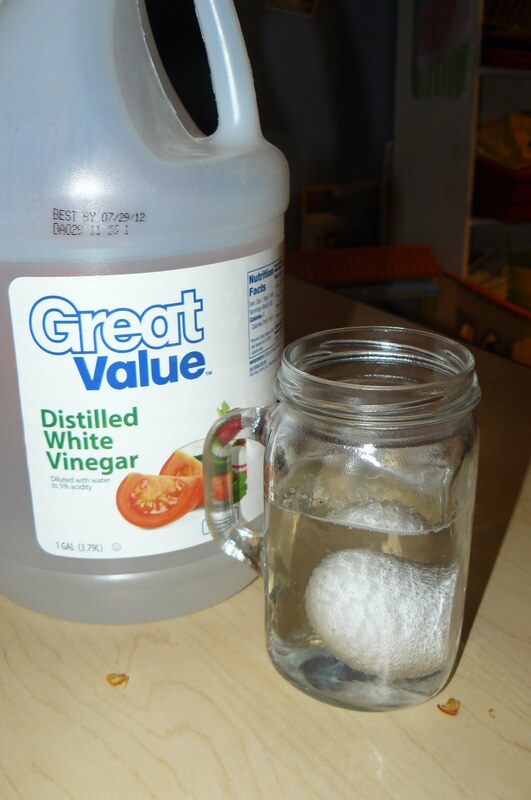 To show them how this might work we are soaking an egg in vinegar. As I am typing this I think I might have done this wrong. I may have to do a switcheroo tonight. I think I was suppose to boil the egg and I didnt. Hmmm…. What will happen is the egg will become soft and rubbery. We had a dental tech from Gentle Dental come visit us today. She taught me something I didn’t know. Children have 10 teeth on the top and 10 teeth on the bottom. Geneviette has 9 on the bottom since she has lost one already. The kids enjoyed asking her questions about teeth and a couple even asked her if she had a pole or a truck. ( fire station ! ) She left us treats in our cubbies to take home ! Here is Nolan practicing flossing ! This is what she left us ! It was a good…. busy day. This afternoon Gloria Clausing our neighbor will be here helping Randy. It is my son, Addam’s 25th birthday tonight. I had made a commitment to sing at a function at church tonight, so I am taking him out for lunch. Gloria has worked for us in the past, just not this year. The kids usually love her.